Wall Street, venture capitalists, technology executives – all have important reasons to understand the growth and opportunity in the artificial intelligence market, but the inherent vagueness of the term makes any single valuation extremely difficult. Indeed, the term “artificial intelligence” is notorious for having a relatively amorphous definition. In order to put together an executive brief for market size and projected growth of AI, I’ve molded this article around (a) AI-related industry market research forecasts, and (b) a limited number of reputable research sources for further insight into AI valuation and forecasting, in addition to select and relevant quotes. Bear in mind that different market research firms define “artificial intelligence” according to varying criteria. To make this summary article more useful, we’ve quickly broken down all reports by source, definition / meaning of “artificial intelligence”, valuation, and timeline. The goal of this article is do provide a short consensus on well-researched projections of AI’s growth and market value in the coming decade, and to (as always) provide amble references for further exploration for those of you who aim to go deeper. We’ve aimed to stick to sources whose reputation rests on their objectivity, rather than on excited statements of companies whose incentive is to see the future their way (such as IBM’s CEO claiming a potential $2 trillion dollar market for “cognitive computing”). Tractica forecasts that the revenue generated from the direct and indirect application of AI software is estimated to grow from $643.7 million in 2016 to $36.8 billion by 2025. This represents a significant growth curve for the 9-year period with a compound annual growth rate (CAGR) of 56.8%. Tractica has assumed a somewhat conservative adoption of AI in the hedge fund and investment community, with an assumption that roughly 50% of the hedge fund assets traded by 2025 will be AI-driven. Even with the conservative estimate, the algorithmic trading use case remains the top use case among the 191 use cases identified by Tractica. 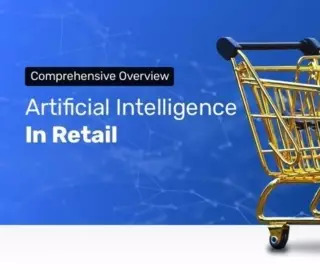 Out of the top 10 use cases, 60% of the use cases are related to big data and 40% are related to image or object recognition, which is a good high-level characterization of how the market is expected to shape up. *Forecast Timeline: Less a forecast than a *data-based analysis of companies currently investing in AI-based technologies, which sheds a light on present-day trends and provides an informed jumping off point for projected forecasts. There are only 1,500 companies in North America that are doing anything related to AI today, even using its narrow, task-based definition. That means less than one percent of all medium-to-large companies across all industries are adopting AI. A breakdown of AI adoption does not provide a fair picture of the current level of AI maturity in the market. The following two figures detail how many companies are using these AI technologies beyond lab experiments (i.e., those developing applications based on it or deploying it across the company). Definition: Artificial Intelligence (AI) refers to IT systems that sense, comprehend, act and learn. Study context: Accenture, in association with Frontier Economics, modeled the potential impact of AI for 12 developed economies that together generate more than 50 percent of the world’s economic output. While the gains vary from country to country, our results are indicative of AI’s ability to transcend regional and structural disparities, enabling huge, rapid leaps in labor productivity. To fulfill the promise of AI as a new factor of production that can reignite economic growth, relevant stakeholders must be thoroughly prepared—intellectually, technologically, politically, ethically, socially—to address the challenges that arise as artificial intelligence becomes more integrated in our lives. The starting point is understanding the complexity of the issues. Demand is expected to be driven by an ageing global population and a rise in wages of workers in emerging markets. Wage growth among China’s factory workers, for example, has surged nine-fold since 2000. Expert systems (e.g. medical decision support systems and smart grids) made up the largest share of the market in 2013, followed by autonomous robots. BCC Research expects the autonomous robot category to account for the largest share — 22.8 percent — of annual market growth until 2024 and thus to dominate the smart machine market. 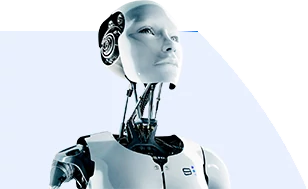 The artificial intelligence market is estimated to grow from USD 419.7 million in 2014 to USD 5.05 billion by 2020, at a CAGR of 53.65% from 2015 to 2020. This growth can be attributed to the factors such as diversified application areas, improved productivity, and increased customer satisfaction. According to a new report from Tractica, the market for enterprise AI systems will increase from $202.5 million in 2015 to $11.1 billion by 2024. Study context: This report is based on the related domain of “big data”, and wasn’t created explicitly to size the “artificial intelligence” field. For the calendar year 2014, the Big Data market – as measured by revenue associated with the sale of Big Data-related hardware, software and professional services – reached $27.36 billion, up from $19.6 billion in 2013. While growing significantly faster than other enterprise IT markets, the Big Data market’s overall growth rate slowed year-over-year from 60% in 2013 to 40% in 2014. Wikibon expects the Big Data market to top $61 billion in 2020, a 26% compound annual growth rate for 2011-2020. After initial intense growth, Big Data market growth will slow considerably. This growth pattern is common to disruptive technology markets as they mature. According to a report from A.T. Kearney, the overall big data spend could grow at a 30% CAGR through 2018. The size of this market, inclusive of software, hardware and services, is projected to reach $114 billion in 2018. “The average business expects to spend $8 million on big data-related initiatives this year,” according to the Kearney report, which also says each IT job created in the process of upgrading will create three additional jobs outside IT. Study context: This report is based on the related domain of “predictive analytics”, and wasn’t created explicitly to size the “artificial intelligence” field. …the global predictive analytics market to grow from USD 2.74 Billion in 2015 to USD 9.20 Billion by 2020, at a Compound Annual Growth Rate (CAGR) of 27.4% during the forecast period. The predictive analytics market is growing rapidly because of the transformation from traditional Business Intelligence (BI) techniques to advanced analytics techniques and massive surge of structured and unstructured data. The big data and analytics market will reach $125 billion worldwide in 2015, according to IDC. Both IDC and The International Institute of Analytics (IIA) discussed their big data and analytics predictions for 2015 in separate webcasts yesterday. IIA predicts that automated data curation and management will free up analysts and data scientists to do more of the work they want to do. Forrester says that in 2016, machine learning will begin to replace manual data wrangling and data governance dirty work, and vendors will market these solutions as a way to make data ingestion, preparation, and discovery quicker. Through 2020, according to IDC, spending on self-service visual discovery and data preparation tools will grow 2.5x faster than traditional IT-controlled tools for similar functionality. MarketsandMarkets.com forecasts the Cognitive Computing Market to grow from $2,510.4 Million in 2014 to$12,550.2 Million by 2019. This represents a Compound Annual Growth Rate (CAGR) of 38.0% from 2014 to 2019. In advanced machine learning, deep neural nets (DNNs) move beyond classic computing and information management to create systems that can autonomously learn to perceive the world, on their own. Machine learning gives rise to a spectrum of smart machine implementations — including robots, autonomous vehicles, virtual personal assistants (VPAs) and smart advisors — that act in an autonomous (or at least semiautonomous) manner. 5) By year-end 2018, 20 percent of smart buildings will have suffered from digital vandalism. Inadequate perimeter security will increasingly result in smart buildings being vulnerable to attack..
Prognostication – no matter how well informed – is risky business, especially in a field rife with buzzwords and sparse in concrete definitions. What fraction of spending on “big data” will imply the use of machine learning or other AI applications? What portion of “predictive analytics” inherently implies training AI algorithms, as opposed to merely permitting clearer forecasting and visualization? It’s hard to tell. Nonetheless, we’re of the belief that varied perspective is useful, and this summary article was intended to do jus that. If any conclusion can be drawn, it’s likely to be the fact that the terms and applications that define the “artificial intelligence” field are grey, and that definitions must be taken on a case-by-case basis. We might imagine that like other nascent technology fields, artificial intelligence will mature to the point of having a more robust and clear vendor ecosystem, and more defined terms to delineate between applications and uses. There are likely to be leaps and bounds in the next decade in gleaning insights from “unstructured data”, while applying predictive analytics and building business models is a more oft-used approach to implementing machine learning and data mining technologies at present. For now, if an executive or investor has interest in a particular domain or use of artificial intelligence, the first step in determining valuation and forecast would be to draw a proverbial “dotted line” around what “artificial intelligence” means for your purposes, and to draw the varied sources to get a mosaic of where things stand in your niche. For further exploration of the science and applications of machine learning, consider listening to some of our recent AI researcher interviews. In 1956, ten of the world's leading electrical engineers convened on the burgeoning topic of "Artificial Intelligence" - which was far from being recognized as a field. A decade later, the progress of early AI efforts had some researchers envisioning a relatively easy glide to human-level intelligence in machines. Investments in artificial intelligence continued on an upward swing in 2016, following through on the technology's promise to disrupt how business is done across industries. What is artificial intelligence (AI)? We take the term for granted, but how might we phrase a formal definition? And are the technologies that we have today really reflective of all that this term implies? Though yet to become a standard in schools, artificial intelligence in education has been taught since AI's uptick in the 1980s. In many ways, the two seem made for each other. We use education as a means to develop minds capable of expanding and leveraging the knowledge pool, while AI provides tools for developing a more accurate and detailed picture of how the human mind works.